Note: On the Weighted Lunges, choose either a Dumbbell or Kettlebell weight that allows for consecutive repetitions, yet still allows ample stimulus and challenge. Recommended weighted is between 15lb. Dumbbell to 35lb. Kettlebell. Satvana Yoga Studio in Pleasure Point – Coming Soon! 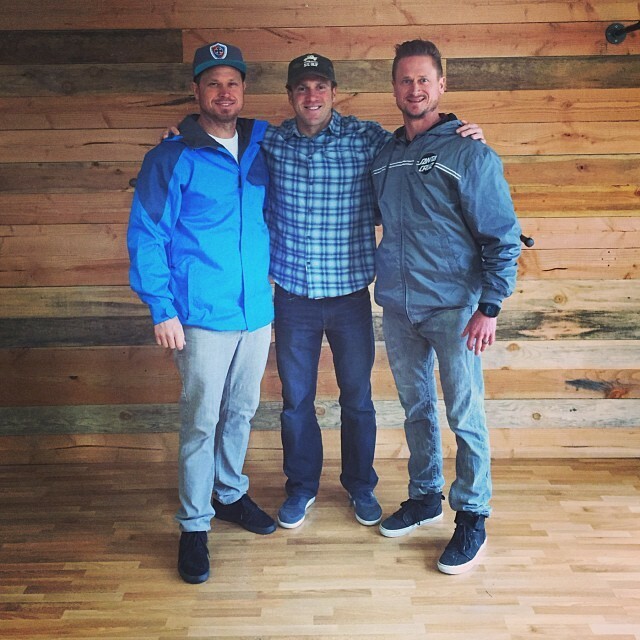 On January 7, 2016, Greg Amundson signed a new lease on the nations second Warrior Yoga studio, which will be located in the heart of Pleasure Point, only a short walk from our Headquarters gym. The worlds first official Warrior Yoga studio was founded by Mark Divine of SEALFIT and is located in Encinitas, California, at the SEALFIT compound. In Sanskrit, the word “Satvana” means “Warrior”. The new studio will be an officially recognized Warrior Yoga studio by Yoga Alliance and Mark Divine, and will be used by Mark for Northern California based Yoga Teacher Trainings, Workshops and Unbeatable Mind Seminars. In the photograph with Greg are Santa Cruz Retail Factory founders Kevin and Brain, who made the new Yoga studio space available to Greg because of their belief in the Warrior Yoga program. More information to follow!